Treeline at Mount Evans, Colorado. As one travels up a mountain, one passes through several zones of vegetation. 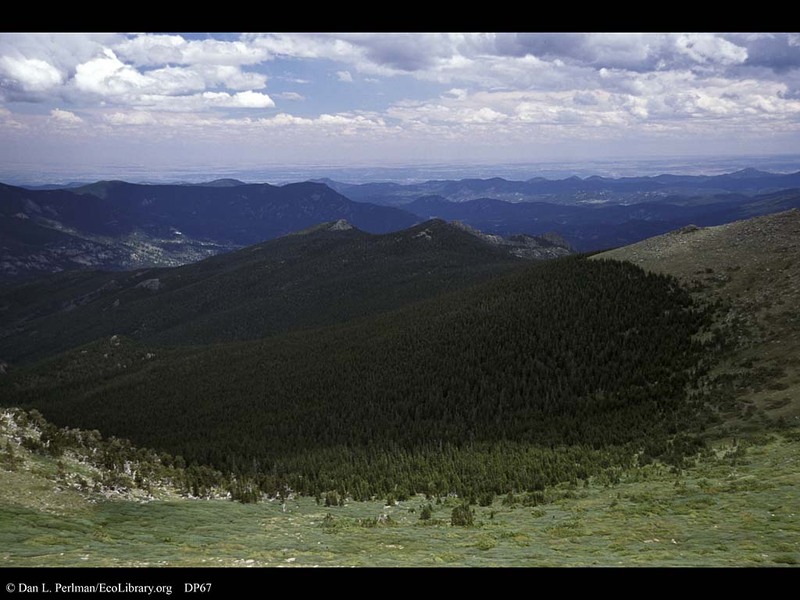 The most dramatic transition is tree line, as one leaves the high elevation conifer forest and reaches areas where not even these hardy trees grow but only low-growing shrubs, wildflowers, and grasses. This is a good example of an ecotone, and edge between two different habitat types.